Planning for a trip is often just as exciting as the trip itself; and often I find myself already planning the next trip before the current one is even complete! For the last month we have been planning an epic road trip from Florida to Washington DC, and what started as a quick 6-7 day break from work has now turned into a 12 day trip of a lifetime which will include beaches, waterfalls, mountainous ranges, hiking, biking and sink holes! There was too much to do and see in-between Florida and Washington DC that we decided it wasn’t worth going if we weren’t going to do the trip properly and take in all of the sights! Florida into Georgia, day 1 we are pulling a big day of driving (7 hours) to end up in the historic town of Savannah. 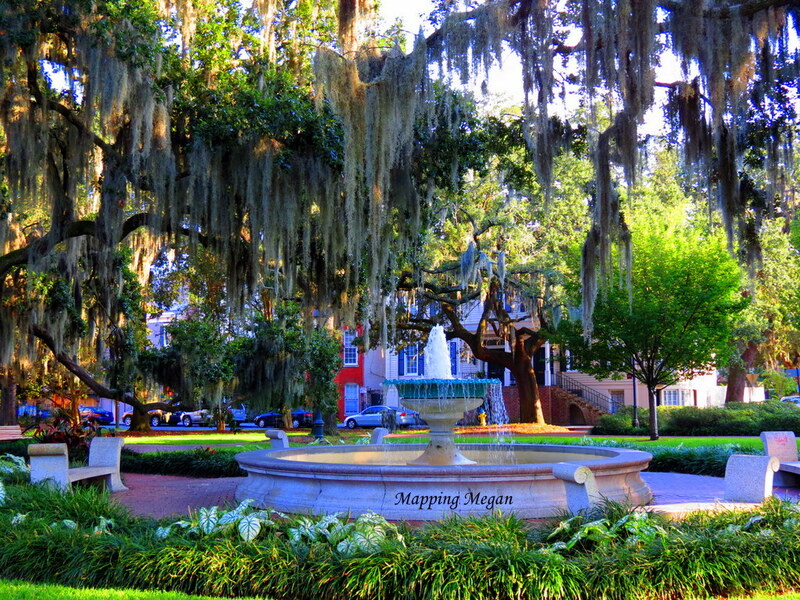 The Historic District of Savannah is said to be one of the most beautiful cities in the world, with cobblestone streets, manicured gardens, and oak-shaded parks drizzling with silvery Spanish Moss. Looking forward to the culture and architecture in Savannah; a city which contains more than twenty city squares filled with museums, churches, mansions, monuments and famous forts of the Revolutionary & Civil War eras. Taking in Hilton Head Island along the way, we’re spending our second night in Myrtle Beach, South Carolina. I’ve been promised 60 miles of sunny beaches, blue skies, and endless fun; Myrtle beach seems to be packed full of amusement parks and opportunities for thrilling water sports activities – absolutely cannot wait! Cutting inland, we are driving from Myrtle Beach to Charlotte, North Carolina. We were originally planning to drive straight to Washington along the East Coast, but then saw pictures of how beautiful inland North Carolina was! Charlotte is your main hub for all kinds of getaways in the region, and we’re using it as a gateway to the Blue Ridge Parkway. Looking forward to exploring the city itself though; from what I hear, even though it’s a bustling metropolis, it has managed to maintain a lot of its heritage and has an endless array of interesting attractions, popular restaurants, and ‘raging late-night hotspots’ to offer. Sunset behind the Charlotte skyline looks pretty spectacular as well! Did I mention I was in love with the city of Charlotte? The skyline is absolutely magical once evening hits – we walked for 5 minutes from our hotel for this view! I fell in love with the city of Charlotte as soon as we arrived! Such an amazing blend of metropolis and rich history! We are driving from Charlotte to Asheville to explore the Smoky Mountains and the Blue Ridge Parkway. One of the biggest attractions in this area is the Biltmore Estate; a large private estate which boasts a 250 room mansion built by George Washington Vanderbilt II in the late 1800’s. It is the largest privately owned house in America and tourists can take tours of the grounds, the house and the onsite winery. 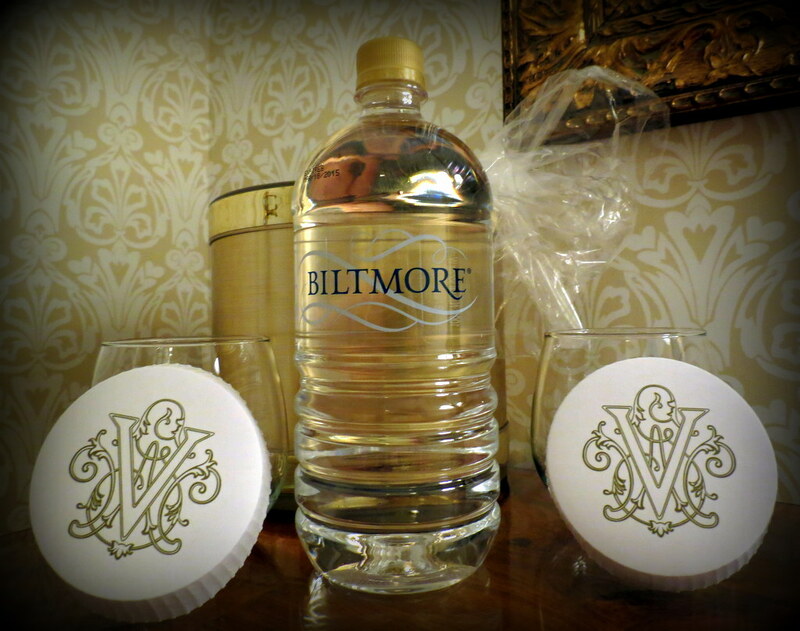 We figured if there was anytime to splurge, it would definitely be here and so we’re staying at the Inn on Biltmore while in Asheville – cannot wait to explore this absolutely spectacular mansion and grounds! Beginning our drive of the Blue Ridge Parkway! The Blue Ridge Parkway is more than a road – it’s an epic journey! Winding through some of the most beautiful scenery in the United States, the Blue Ridge forms part of the Appalachian Mountains and includes spectacular mountain scenery, an abundance of dramatic waterfalls, and some of the best opportunities for hiking and biking in the country. Before we start the actual parkway however, you can bet we’ll be exploring parts of the Great Smoky Mountain National Park. America’s most visited National Park, and world renowned for its diversity of plant and animal life, we’re not only planning on taking in the beauty of its ancient mountains, but will be trying to spot black bears! Where we’re staying: Camping under the stars day 5 & day 6 at The Hotel Roanoke. Spending two days in Washington DC to explore America’s political capitol! With so many things to do and see we’re not sure where exactly we’ll start, however looking forward to taking in the National Archives and viewing the Declaration of Independence and the Constitution; Library of Congress; Supreme Court; International Spy Museum and everything else Washington has to offer! I think there’s also a big white house which tends to draw tourists and travelers!! 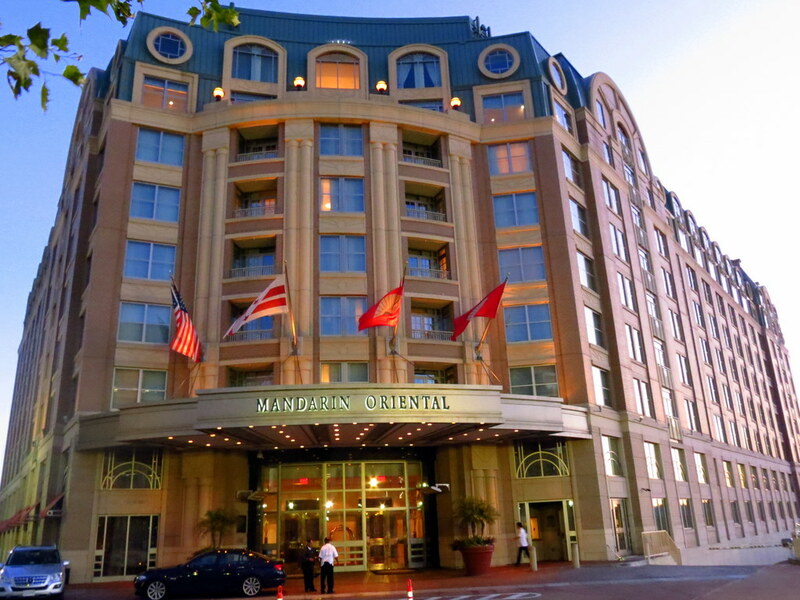 Where we’re staying: Night one: Mandarin Oriental; Night two: Kimpton’s Hotel Monaco. Washington DC – Nags Head! We haven’t planned out our days this far yet, but will be driving to Nags Head through the historic town of Richmond (was the capitol of the Confederacy during the Civil War) and Virginia Beach. Spending two nights, we fully plan on spotting Black bears and hopefully a Red Wolf that evening in Alligator River; Black bear sightings are supposedly guaranteed, however there are only 20 odd remaining Red wolves in the world so catching a glimpse of the highly endangered animal would be a treat! Driving back through South Carolina, this time stopping overnight in Charleston! We’re not sure quite what to expect of Charleston, however situated in South Carolina’s romantic low country apparently it’s one of the South’s most appealing destinations! We’ve heard great things about the historic town, the culinary delights and the amazing atmosphere. Stay tuned! Originally planning on spending an epic day of driving from Charleston – home (which would have been 10 hours), we’re instead adding an extra day and spending time in Gainesville. Really looking forward to exploring Ginnie Springs – an absolutely spectacular underwater world with huge grottos, colorful fish, and millions of gallons of fresh water – as well as Devil’s Millhopper – Florida’s largest sinkhole, 120 feet deep! Legends say it is the gateway to hell! Where we’re staying: TBA – any suggestions?? Any recommendations for any of the above cities? Wow, that’s a lot of driving. Looks like you’re going to see a lot of amazing places. Yep – definitely a lot of driving!! Lol we reazlied that today after arriving in Myrtle Beach and having driven through 4 major cities over 3 different States! Have understandably crashed for the evening :D! Wouldn’t have it any other way though!! What a fun trip! We make the drive from Florida to Charleston quite often – it can be long! But as far as other stops along your way… Roanoke really is a beautiful town – they have a nice greenway to take advantage of. And, of course, all of the outdoor beauty. DC is overwhelming – you’re going to love it! And use the Metro – much easier than driving in the city. Charleston is filled with amazing food and things to see and do. I’ll be there the first of October! Above all else, enjoy it all! Thanks Susan! We’re loving it so far! We’ve luckily thrown our bikes in the back of the car for the trip so planning on cycling around DC as much as we can – booked parking at the hotel so will be leaving the car there for the stay…also heard driving in DC is a mess! -go to the Mercer House in Savannah. Thanks for the tips! We’re in DC again this coming 4th of July and absolutely can’t wait. Will definitely be walking to see the monuments at night – can’t wait for the inevitable fireworks display either!! Oh wow, what a great treat. Indeed, you had the biggest adventure. Everyday,you had different great adventures. I just can imagine how happy I would if i get to experience adventure like yours too especially if I bring the whole family and yeah my kids would be very excited too. Thanks for sharing! Hi Joseff, thanks for your comment! Road trips are definitely great adventures for the whole family! Wishing you all the best and happy travels! Thanks! You’ll have a great time in America – and an iconic American road trip is one of the funnest ways to travel this great country! This is a WONDERFUL drive! We have many helpful hints on our blog about Asheville, the Blue Ridge Parkway, and Washington DC. We LOVED Savannah, but have not yet written about it. Looking forward to your updates from the road. Thanks Kate & Mike! Will head on over and check out your blog. We actually completed the drive a few months ago now, and had an amazing time driving the above route. Totally agree with you on Savannah – it was one of our favorite cities! I should actually go through and update this post with links to the updates and photos we published from the trip. I just saw your amazing adventure from Florida to Washington, DC. You made it so simple and so easy to follow. I would like to plan a trip like that to take my elderly parents. They are not much into beaches, but they love the scenery of such a drive, and museums. In order to plan a trip like this, how much am I looking for cost staying in those beautiful hotels? We would probably think of going in the Spring or Fall season, when the weather is tolerable. Hi Mily, so glad you enjoyed following our trip! This was one of our favorites, and we found out pretty quickly that the East Coast has a LOT to offer! So obviously we took a lot of coastal stops, though destinations like Savannah, Charleston, and Asheville we really enjoyed for the history and culture. Highly recommend the Blue Ridge Parkway because the nature there is stunning and they’ll love the scenic drive, and DC was brilliant for free museums and public monuments – really loved our time there. We generally use http://www.orbitz.com/ to gauge the cheapest prices for hotels at any given time – the places we stayed at will vary anywhere between $100 per night (for the coastal hotels we stayed in) right up to $600 per night which was a massive splurge to stay overnight at the Biltmore. After you’ve sorted out your locations start checking Orbitz though and it will give you an idea of the price range you’ll be looking at in each place. What we did for our trips throughout the US too was sign up for a combination of a few credit cards – we got one with IHG, Hyatt and Marriott – and generally on sign up these cards offer 1-2 nights free after you spend $1,000 or something like that. So for instance we would sign up for a card, not spend anything out of the ordinary, but just put our normal household expenses on one card until we were awarded the points for the free nights, and would then move onto spending on the next card. Hope that helps! Have a wonderful trip! What a great idea. Thank you for letting me know. My my max is $4000.00 for the whole trip, so not sure if that will be enough, which is why I asked such an imprudent question. The amount of course will include the rent a car; not sure if they still have unlimited mile rentals now days. Glad to help :) Because we were living in the US at the time we had our own car, so not sure re the unlimited mile rentals, though I wouldn’t have expected there would be a limit on miles. What an epic trip! I was planning to fly from Gainesville to DC and the flights were quite more than what I saw originally, and then I saw it would only be 11 hours on I75! 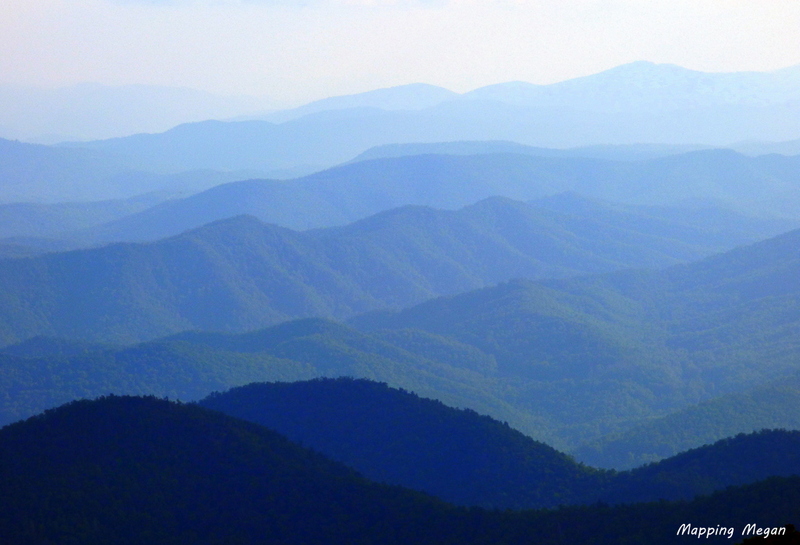 It looks really tempting to take a big detour and go to the Smoky Mountains as well! (It was another idea for our trip). We will be travelling in late March. Do you have any tips post-trip to share? Hi Mayra! I highly recommend taking a road trip if you have the time, the amazing thing about this route is that there is so much to do along the way that there’s never a boring day, and you see so much more of the country than you would if you were to fly. My biggest tip is to try and limit your driving each day to around 4 hours max, this way you ensure you properly enjoy your time. We crammed everything in to the max, and while it was a fabulous trip, we often found ourselves driving all day, checking into a hotel, having a few hours in the evening to walk around and explore, and then only a few hours the next morning before taking off for the next place. Great post, we are doing a road trip from Washington DC to Orlando – just in the planning stages so this has been very helpful. We are planning a similar trip for this summer – Florida to DC (I have conferences in Tampa late June, and DC mid-late July, so total 4 weeks). Kids are 9 and 13. Anything SPECTACULAR that we shouldn’t miss??? Nice one Deidre! You’ll have a fabulous time. Definitely make sure you go through the Blue Ridge Parkway – the views are fantastic, and if you plan ahead there are a bunch of picnic stops along the way so you can all get out and have a lunch break on the drive. Views are seriously amazing! Great post! I’m planning a trip for this fall from Orlando to DC with my Kids ages: 4,15,& 16. 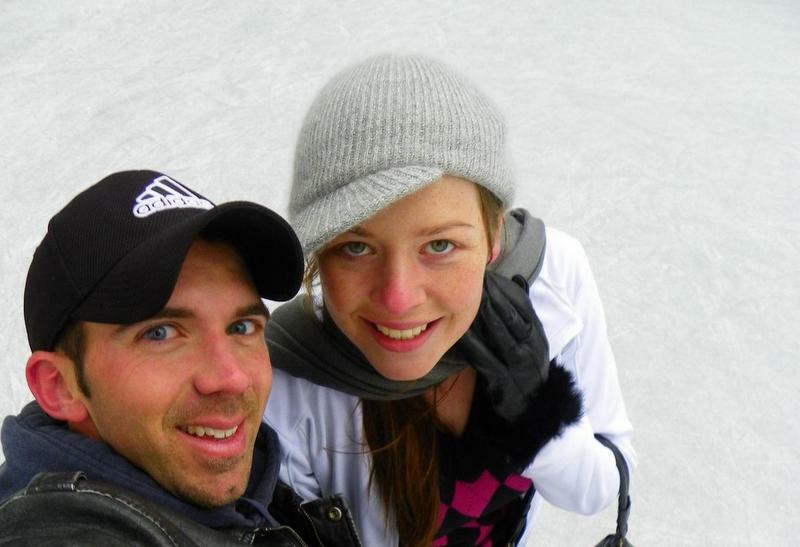 We love hiking, site seeing, and good food (local places, not chains). Any additional advice? Thanks Cherish! Hiking and site seeing are our biggest focus too, so I would definitely recommend the Blue Ridge Parkway and Alligator River in North Carolina. 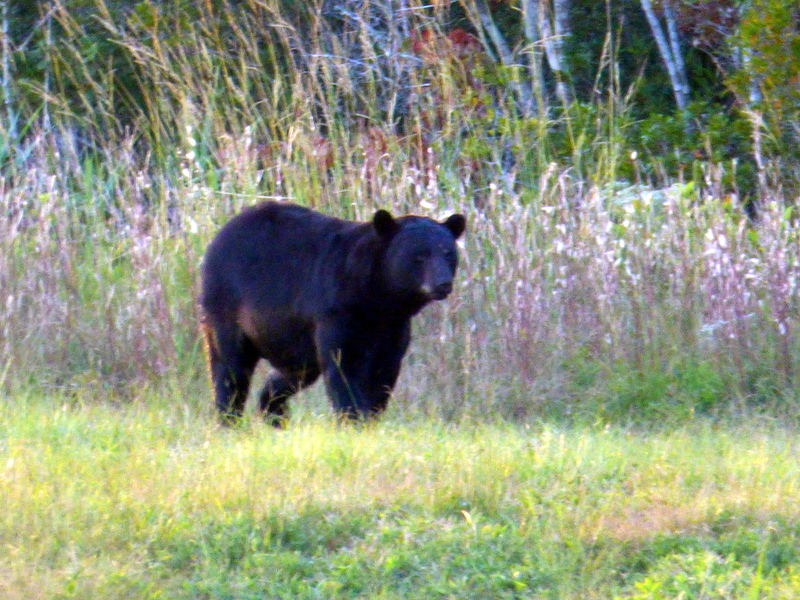 If you have time you can go through the Great Smoky Mountains – we did this on another trip and had a great time hiking and searching for black bears. Hi Megan -great trip ! We plan to do the same from Washington southbound. Can you pls tell me if the Blue ridge Parkway has a lot of scary high level 1 lane bridges ? Concerned about your pic. I suffer from gephyrophobia (fear of bridges) & almost froze driving on 7 mile bridge out to the Florida Keys. Any other bridges on this trip ? Hi Michael. The photo of the Blue Ridge Parkway bridge is the Linn Cove Viaduct. It’s a 1243 foot concrete segmental bridge 78 miles from Asheville at Milepost 304. The drive we did was around 4 years ago now, so I can’t recall how many bridges there were, but you can contact the Park Information line on (828) 298-0398 (http://www.blueridgeparkway.org/v.php?pg=30) perhaps they can offer some indepth info for you. If you’re including the Nags Head portion of our trip, you will need to cross bridges to get there as it’s an island. From memory this is a pretty long stretch which goes over the water. Otherwise I believe you should be able to take land routes to get between cities for the rest – there may be bridges built over highways as part of the flow of traffic once you get into each city, though unfortunately I didn’t pay too much attention to these on our trip. Thanks for your informative blog on your travels from Florida to Washington DC. I really enjoyed reading it. We are planning to do a similar trip from Washington to Charleston and back to Washington. We would like to include Savannah, Richmond, Myrtle Beach and maybe Blue Ridge Parkway. We have about 13 days but will spend about 4days first in Washington before setting off for Charleston. As we don’t know America very well, do you think we have enough time to see all these? What mustn’t we miss? I would be grateful for any information you can provide. Day 1: Washington DC – Richmond. 3 hours drive. Day 2: Richmond – Roanoke. 3 hours drive. Day 3. Roanoke – Asheville, taking in the Blue Ridge Parkway. Directly is 4 hours but this route is the Blue Ridge so you’ll make sightseeing stops along the way. Day 4: Asheville – Savannah. 5 hour drive. Day 5: Savannah – Charleston (you’re coming back up north now). 2 hour drive. Day 6: Charleston – Myrtle Beach. 2 hour drive. You’ve then got 3 days to get back up to DC, which you can do in one 8 our stint if you want to. So you can either spend two nights in two of the above towns and make a long haul drive on the last day. Or you can slit up your driving for the tip back and stay overnight in a place like Nags Head, which is a bit out of the way, but takes you half way. Hi Meg! This is perfect for our family since we are planning the exact road trip! Do you have any must dos with the kids. I’m worries about not enough attraction and being bored with all the driving. Thanks for sharing! Awesome Lori! The nice thing is that we tried to limit each day to max 4 hours driving, so hopefully the kids won’t get too stir crazy in the car. 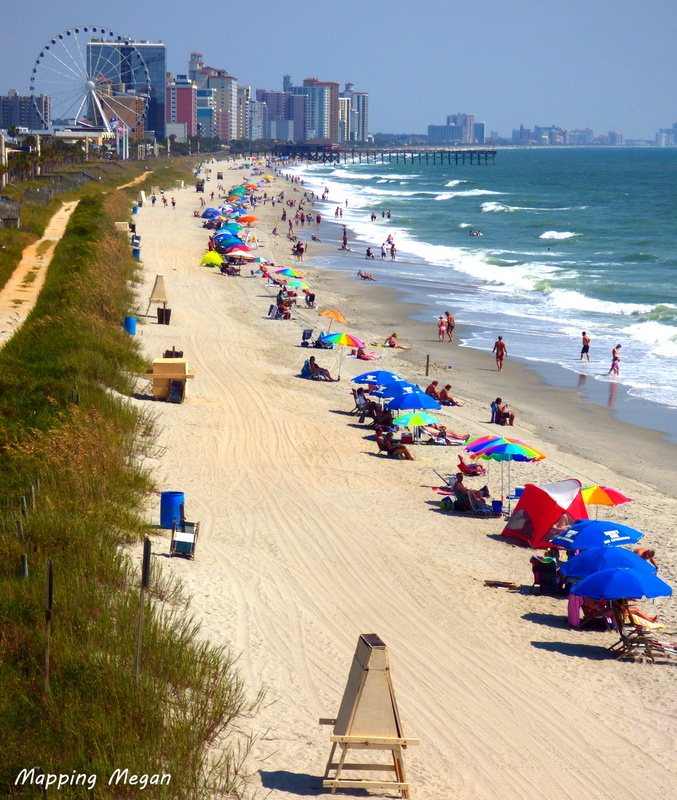 Myrtle Beach has the beaches and some fun parks which the kids should love, lots of hikes and walks around Asheville and the Blue Ridge Parkway with stunning views, so a lot of opportunities for the kids to run around and stretch their legs. In DC the museums are all pretty child friendly which is nice, and the monuments in the mall would be pretty impressive for a kid. Re Nags head, I would spend time at the beaches – the bears at Alligator River was fantastic, though it’s more of a stake out; we did have to wait a couple of hours before we found them, so the kids might get bored with that one.